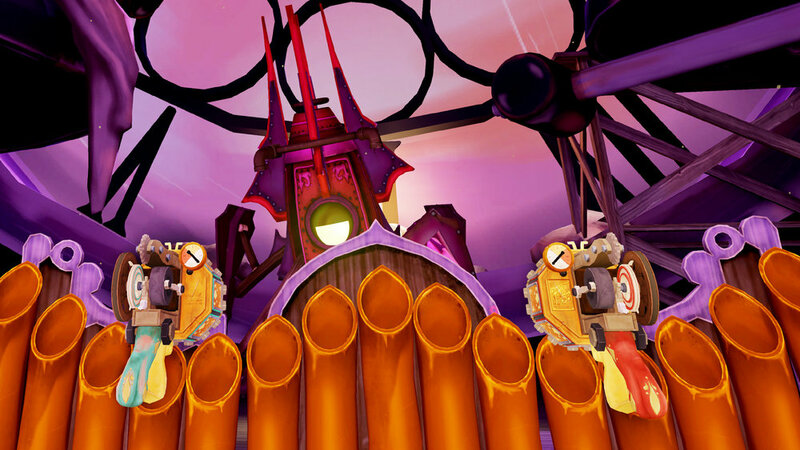 Steampuff: Phinnegan's Factory is a frantically fun, fantastical shooter set in a steampunk universe. Phinnegan's Factory is set in an original world, The Sky-High City of Steampuff – first created by Steelehouse. We are a small studio of artists, animators and gamers working in Tulsa, OK and we've been making content for other folks for the last 17 years. For a very long time, we'd wanted to make an animated series – in 2012, we did. We created the Sky-High City of Steampuff and in doing so, created a lot of artwork and lore. When we decided to make our first game, we knew our universe and its unique aesthetic would be a fantastic VR experience – so Phinnegan's Factory was born. BEAUTIFULLY CRAFTED - You'll experience an immersive world that is wholly unique, both in tone and style. 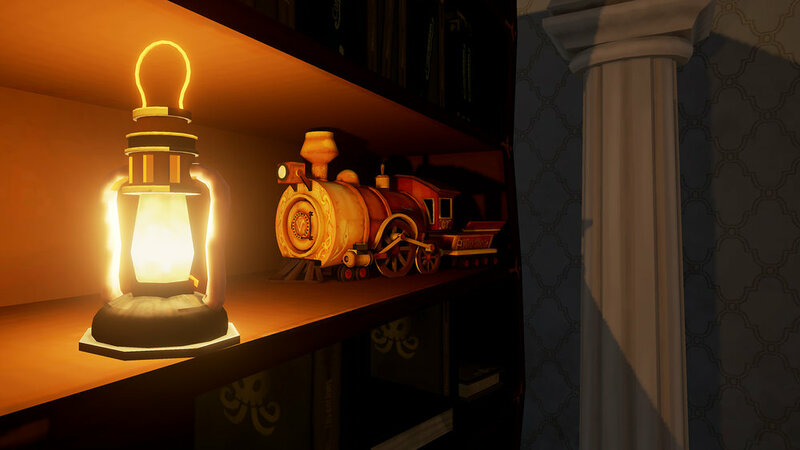 Every detail has been painted and placed for you and other players to explore. FRANTICALLY FUN GAMEPLAY - This isn't a game you can win by standing or sitting still. You'll need to duck, dodge, shimmy and leap out of danger. DUAL DISASSEMBLY - Experience twice the fabulous firepower with a Farraday Model 53 in each hand! Focus your fire or split your salvo while you expertly pace the perimeter … otherwise you are just doubling the danger of being a bad shot. COVER SYSTEM - As decorated Rear Admiral Alexi Asminov famously said, “The best defense is a good sturdy something to hide behind.” Well now YOU can experience that maxim first hand with your very own “something" to cower behind. Trigger the hiding hole with a single shot. Enjoy your cowardice while it lasts. LOCAL LEADERBOARDS - Everything is more fun with friends, especially winning. IMAGINATIVE ENEMIES - You will face waves of mechanized monstrosities. Every robot is unique in design and function – each enemy has its own attacks and weaknesses. POWER-UPS - Ever wished for a little more oomph? Perhaps you’ve lamented the loss of health! The new power-up system gives you the flexibility and longevity necessary to face the factory and live longer … perhaps. In 2016, Steelehouse decided to dedicate a portion of its resources to developing games for Virtual Reality. Mr. Anderson is a division of Steelehouse – a studio within a studio, dedicated solely to creating original game content. Steelehouse is a creative studio of storytellers and visual artists who blend the mediums of live action, motion design, animation and virtual reality to engage audiences and build brands. For years, we've produced content for companies such as Hasbro and Machinima. We've created stories for brands like Pac-Man, Lego, G.I. Joe and Nerf. Check out some of those stories below or watch them all here.